In a fashionable mobile gadget, music should always be on hand, and that it sounds dignified, loud and clear! Download one of the equalizer apps listed below and all your music will sound in a new way! 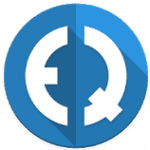 Equalizer Music Player Booster – a quality player for a modern mobile phone or tablet. It has many interesting functions. From the first minutes of using the program, you will see a simple player with an ordinary design. On it, you can see golden inscriptions and large icons that will make up the interface of the entire application. On the right side of the screen, you will notice a menu that will be responsible for navigating the application. There, you will also see a developer store button. All settings of the program are placed in the Settings menu, as in all standard applications and programs. If you have any difficulties with this application, you can always consult with the application support service. When you listen to your favorite songs, you will be pleased with an attractive equalizer and beautiful animation of different abstractions. The equalizer hasn’t a lot of settings. Everything is extremely simple. You can save your application settings and run it in an existing configuration. 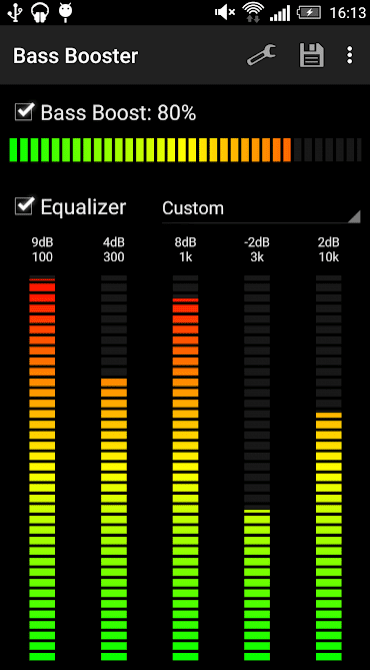 You can set the sound of the melody right during its playback, for this, you need to go to the equalizer section. There, you can correct the sound by five criteria, adding bass or changing the frequency. Also, the application has built-in presets, which are ideal for a particular style of music. Built-in presets for popular music genres. In the program, for some reason, there are no widgets. In general, the application isn’t bad, it will help to play music files on almost any platform. 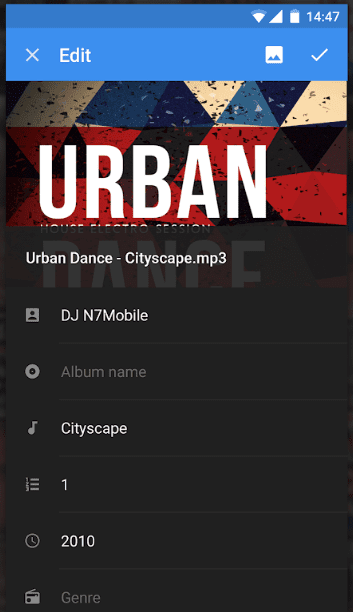 A good audio player is not always easy to find, but by downloading n7player Music Player you will find a lot of interesting and useful functions. With n7player Music Player, you can quickly find your favorite songs and the most memorable albums of famous artists. It is very convenient! Sorting audio files by the names of songs, artists, albums and their covers will quickly orient you in a musical stream. 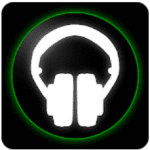 It is worth noting that the player has a very high-quality sound with a wide range of options for its customization. 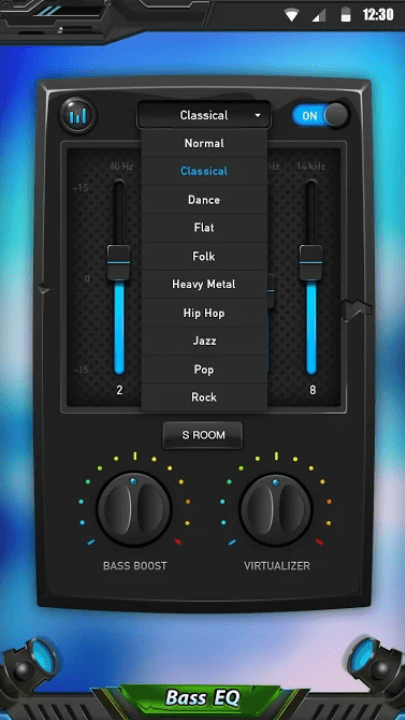 10-band equalizer allows you to customize the sound to your liking, let your favorite songs sound in a new way! Create your own author’s playlists with the best songs. 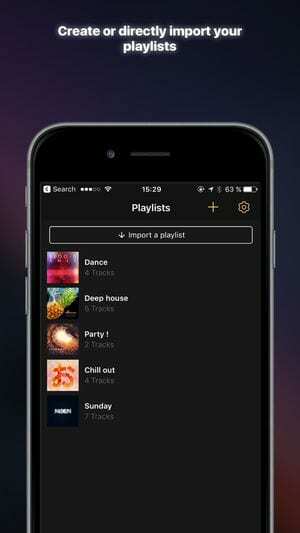 The program itself can automatically create playlists with music hits. In this program, there are other equally valuable and necessary options. Music visualizer will make listening to music even brighter and more interesting! 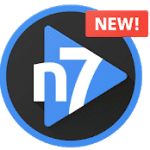 Download n7player audio player and listen to your favorite music anytime, anywhere! In UrbanDenoiser Player, there is no standard equalizer, on which you can control the frequencies, here is another work with sound. When you first start the application, it offers you to pass an auditory test separately for each ear. The test determines how you hear certain frequencies, and then adjusts the music you play to your ears. This feature is available in the “Natural” mode. In addition, there are two more useful modes in the application: “Noise Around” and “Denoiser”. In the first – the application connects to your microphone and transmits surrounding noise to the headphones. Thus, you will hear if you are told something, called or somewhere nearby the car will stop, while you are listening to music. The “Denoiser” mode, on the contrary, suppresses ambient sounds so you can hear music more clearly and without interference. As a visual equalizer, the developers realized wave-like curved lines, which fill the display while listening to music. The louder the user listens to the track, the higher these lines will rise. 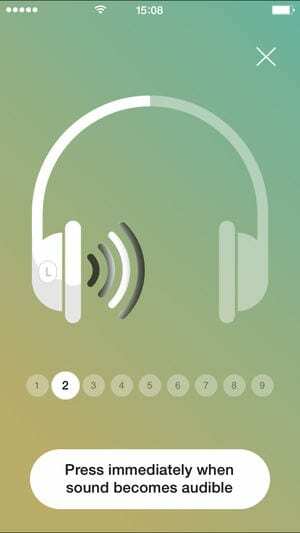 There are two nuances: (1) all the functions of the application work only with the headphones or headset connected (without the headphones, the application turns into a regular music player); (2) when the application is launched for the first time, the application will request access to the microphone, be sure to allow it, since it’s the basis for the work of the UrbanDenoiser Player. You can use the microphone device or headset. The headset microphone is preferable since it is usually located as close to the head as possible and captures all ambient sounds well, unlike the device in your pocket. 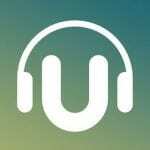 UrbanDenoiser Player is simple in the design of the interface and easy in everyday operation. It definitely will take its niche, without having competitors in it. Please note, this is not a trivial player with an equalizer. This application is for listening to audio recordings in headphones on the street, which allows you to evenly and comfortably listen to music at a moderate volume in the surrounding noise or listen to music loudly and at the same time hear the surrounding sounds. 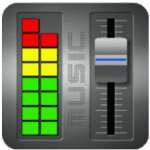 One of the few equalizers for Android devices that creates a virtual sound 3D effect. Listening to music through this program will allow you to hear a completely new sound of the smartphone. Effective low-frequency amplification and a professional 5-band equalizer create a wonderful sound in any style of music. 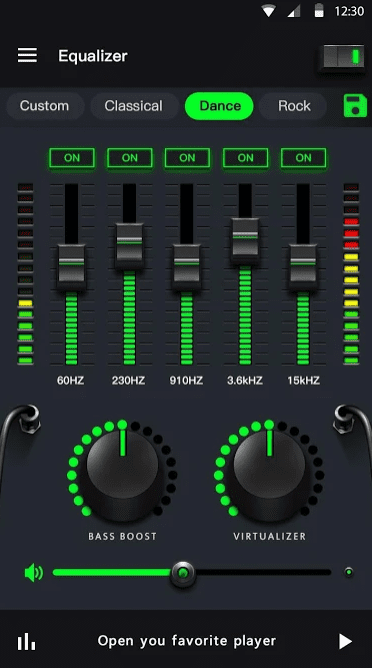 The application provides 10 preset modes of operation of the equalizer, as well as convenient and stylish widgets for installation on the desktop. The program is easy to use, free. The application is very multifunctional. 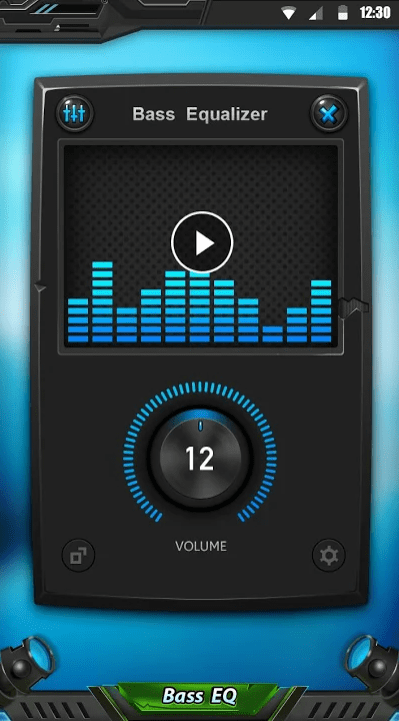 It includes a 5-band equalizer, 10 presets, 15 themes, a volume control, visual effects, and a music player. If you list all the settings and features of the utility, then it takes an incredibly long time. However, one thing we can tell you for sure – all settings are flexible and convenient, you don’t have to spend a lot of time studying them. And you can even use the program with the settings “by default” – they are also quite good. As practice shows, the utility “cooperates” with almost all known players. 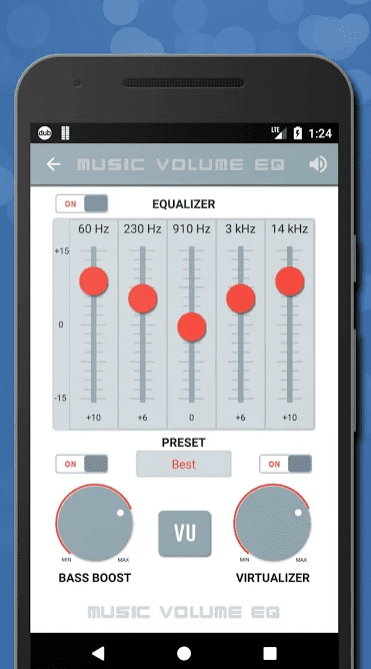 Music Volume EQ is a free Android application that is designed to improve audio quality, frequency tuning. 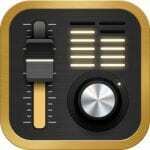 It is also possible to impose sound effects, which ensures a pleasant listening of music tracks. 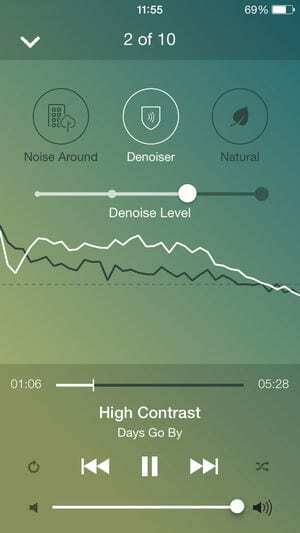 Using this application you can greatly improve the quality of music and sounds when watching movies or in games. The program has an equalizer, which allows you to adjust the audio frequencies. Also in the application, there are several presets. In addition, it is possible to create a widget on the desktop, which is designed to display the sound level. When you click on it, the application opens. The program has a multiband regulator. In addition, the application is able to work together with several players. Also, the user can individually adjust the low and high frequencies. The program is quite simple to manage and configure. In addition, the utility allows you to modify and save an integrated set of templates. 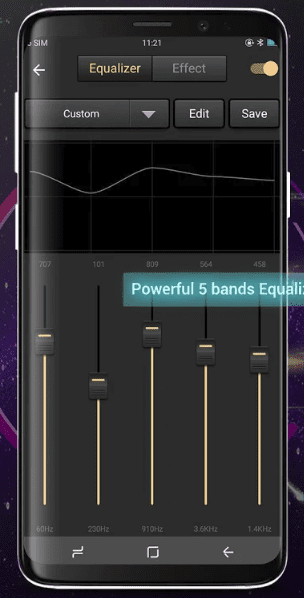 In general, this application is able to expand the capabilities of the smartphone, but the equalizer has a small number of functions, so it isn’t always possible to fine-tune the sound of individual tracks. The developers recommend using high-quality headphones for the best result. 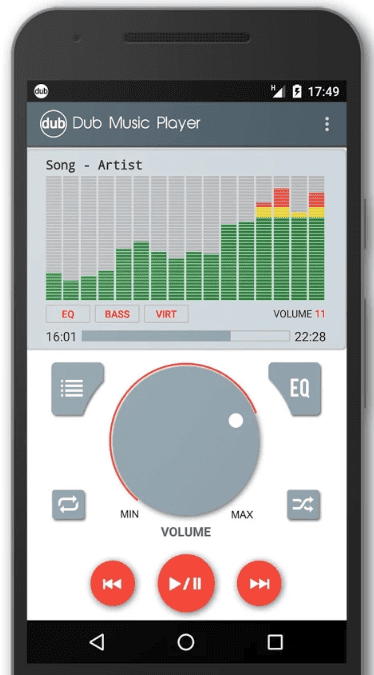 Music Sound EQ is a music application for Android that enhances the bass to the maximum and converts the sound of musical compositions. 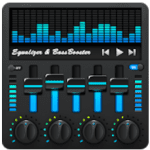 This application provides high-quality bass enhancement and adds depth to the music. The algorithm of operation provides amplification of low frequencies for any musical compositions, as well as adjustment with the help of an equalizer. In the arsenal of the application, there is a super virtualizer, which creates the effect of presence at a real live concert! In addition, the utility adjusts the volume of all media files and works in the background. There are 3 compact and functional widgets. The application has a very simple and user-friendly interface, which is adapted to the design of most modern devices on Android. In the center of the screen, there are 3 bright icons with a low-frequency amplifier, an equalizer, and a sound transducer. 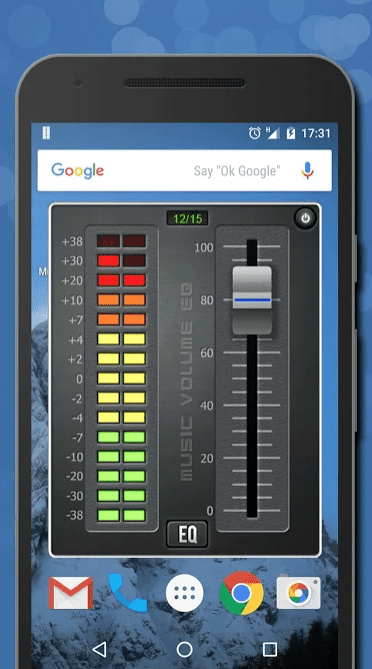 Music Sound EQ is a music application for Android that reveals its potential only when used with high-quality headphones or speakers. 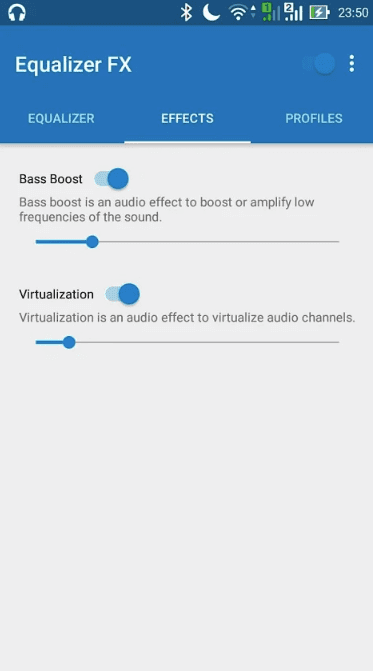 Bass Booster is an application for improving sound on your Android, which allows you to select any of 20 preset equalizers or apply your own equalizer settings. The most interesting function of the application is the bass amplifier. It allows you to increase the volume of bass in any audio. Of course, the application also includes a five-band equalizer, so you can perform more fine-tuning. 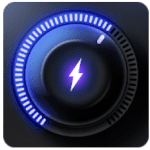 Presets included in the Bass Booster allow you to improve the sound quality on your mobile device, depending on the type of music you listen to rock, heavy metal, rap, jazz and so on. You will find presets for almost all musical genres. 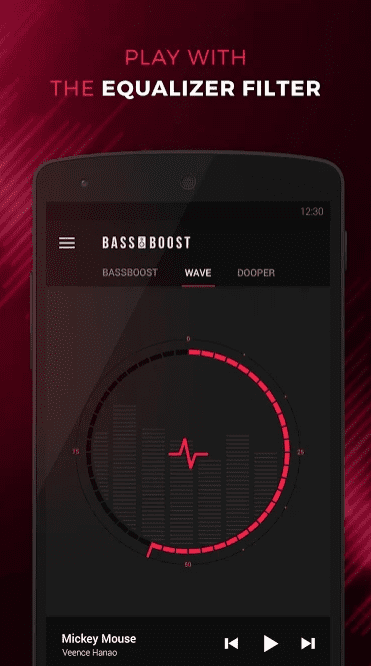 Bass Booster is an application designed mainly for all music lovers who want to enjoy high-quality music on their mobile Android device. 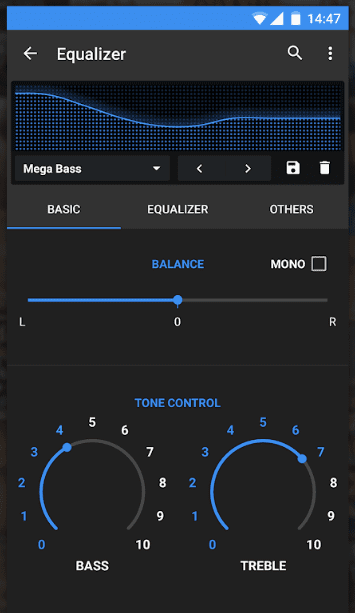 Using the Equalizer – Music Bass Booster application, you can set the perfect playback quality of your favorite music tracks on your smartphone. There is a five-band equalizer with a powerful bass amp. The program allows you to adjust the sound in such a way that it matches the style of the songs you listen to. You can create your own style of sound in the music editor, edit and save it. The application has 10 preset professional playback styles. 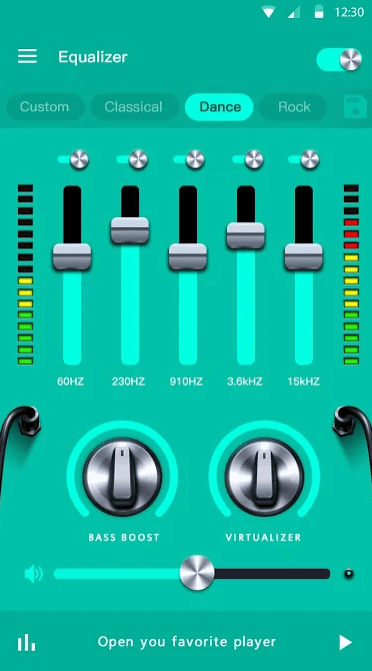 This is an ideal equalizer setting for listening to music in the style of hip-hop, rock, pop, dance, latin, classical music, metal, as well as settings for normal mode and listening to music in a small room (apartment). Playing music is accompanied by beautiful visual effects that change to the beat of the sound rhythm. The program displays all necessary information about the current track – the name of the artist and the name of the song, album. The application gives you access to the largest music database in the world, from where you can download everything you want. To use Soundy, you must have an account on Soundcloud. The application synchronizes with the site, shows your music library and recommends music based on the genres that you listen to. A graphic 10-band equalizer with an amplifier is available on the playback screen. As elsewhere, you can choose a preset by sound – electronics, classics, acoustics – install an amplifier or bass silencer, or adjust everything in manual mode. It is even possible to change the playback speed. Another nice feature is the ability to create your own playlists, which many music applications haven’t. 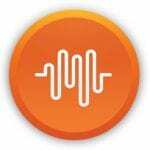 In general, Soundy: equalizer + SoundCloud is undoubtedly a useful application for anyone who can not live without music. 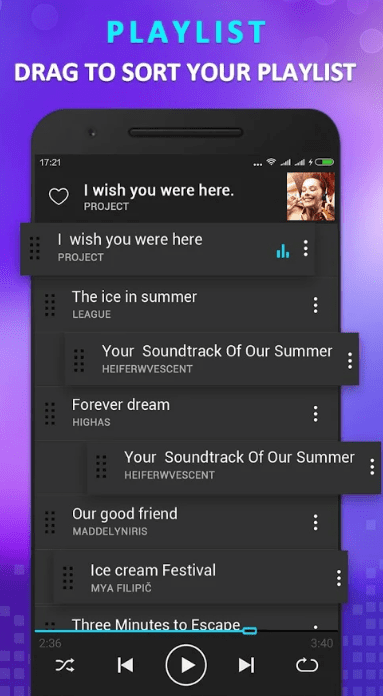 KX Music Player – convenient player for listening to your favorite music in any format. You can adjust the sound to your mood and apply various effects! 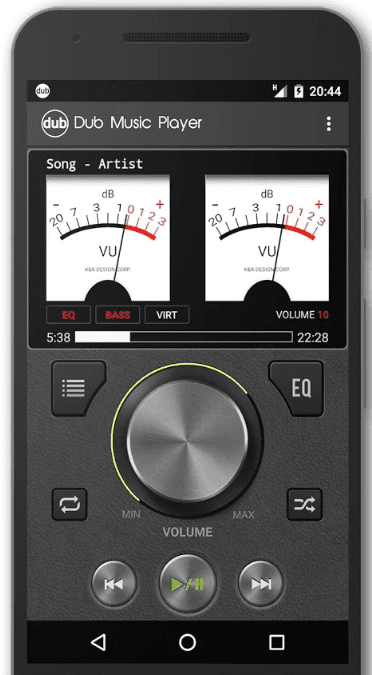 The application isn’t only a professional and convenient audio player, but also an intuitive lab for tuning music. Here you can easily improve the quality of your favorite songs or adjust the sound to your mood. Thanks to the use of modern audio decoding technologies, music files are reproduced in the highest quality. Thanks to the built-in innovative equalizer, you can easily customize your music and make it truly exclusive. To achieve the best effect, it is recommended to use the application in tandem with stereo headphones or external speakers with a surround sound function. The application supports dozens of popular formats, including MP3, MP4, MP2, MP1, OGG. 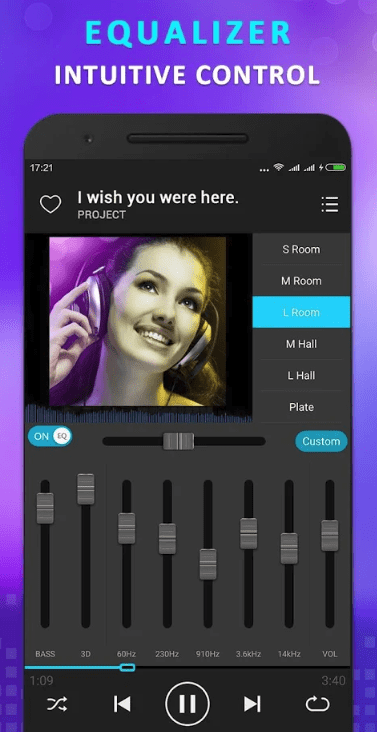 The main features of the application is a function for quick viewing and playback of music in all directories on your device, a five-band equalizer, a module for virtualizing music through graphics, a reverb effect, your own volume control and 17 presets to listen to different genres of music. All the standard functions of the music player are also present here. This includes the ability to create playlists, delete and edit albums, set listening preferences and much more. 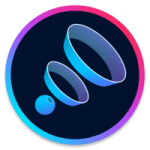 You are bored with copies of the same music player, and you are going to install a utility that features functionality, beautiful design, unusual sound, clear interface, then you are on the right page. 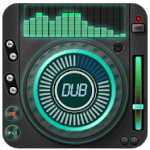 Dub Music Player & Music Equalizer on Android – is a quality and free application for music, which has a fresh design and the presence of special non-traditional functions. Thanks to the built-in equalizer, you will hear exceptionally the high sound quality. The internal editor allows you to listen to tracks by artist, album, folder. Set your own list of favorite songs. 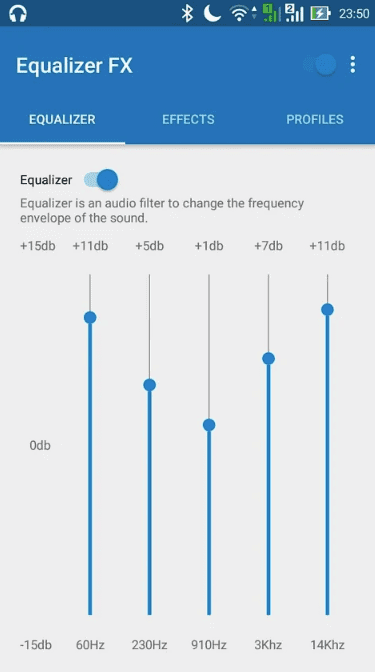 Equalizer will help you adjust the volume of the music. With it, you can customize a specific style of sound, depending on the genre: Hip-Hop, Rock, Pop, Rock, Metal and so on. 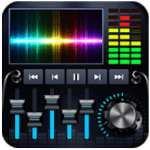 The application allows you to play the main audio formats: MP3, AAC, MIDI, and many others. 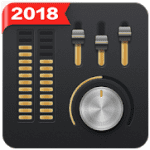 The latest update has added a lot of different graphic equalizers to the Dub Music Player: switch songs as if you are changing a vinyl record or cassette. Or use the theme of the midi controller, which is completely similar to the original tool. Professional decoding technology allows you to improve the quality of the track, for more enjoyment. Using streaming services like Apple Music or Play Music has affected a huge number of users around the world – good music quality, huge libraries and ease of use. But there are still those people who copy ALAC-albums to devices via iTunes and enjoy excellent sound in remote places. 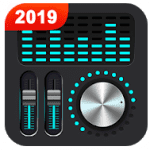 Especially for these people, guys from Global Delight released a new application that allows you to maximize the sound of each song to your taste – Boom: Music Player & Equalizer for iOS. The developer previously released a program under this name and with similar functionality. True, the application was only for Mac users. Here, Global Delight realized all their ideas to the fullest. 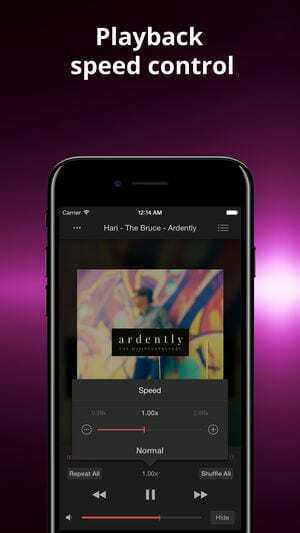 Boom is a music player with the ability to improve the sound of songs, to give old songs a new look. This can be done thanks to special algorithms for sound processing, which the developers called 3D Surround Sound. The program automatically detects all music on the iOS device. Even the one that you have in the Apple Music library. Sorting and displaying songs by category differs little from that of competitors. In general, the player is comfortable and beautiful – no unnecessary details, all the elements are located wisely. Album covers and songs are displayed on the locked screen along with the buttons for switching and pause, as in the standard Music player. Therefore, the main difference is the effects. We will note that it will not be possible to impose them on songs from Apple Music because of the protection. But with the songs loaded in the standard way (via iTunes or Waltr) the situation is better. Under each track, a special button will be displayed on the main screen, which activates the set of effects. Here you can include the already mentioned 3D Surround function, select one of 21 preset equalizers and adjust the intensity. The sound really changes, and it’s cardinal. There is a tangible stereo effect, musical instruments show themselves a little differently. The project is unreleased for Android users yet. This app is in development. It may be unstable. The musical possibilities of the device vary depending on its cost, but not only the source of sound plays an important role, but also the headphones on which users are most often trying to save money, and then complaining about the lack of basses and other charms of conventional headphones. 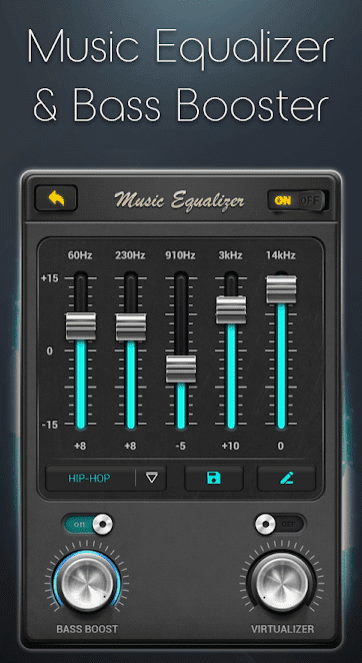 However, the application on the Android Equalizer FX can help to correct the situation in some cases as it contains the necessary settings for adjusting the bass and making the sound more effective tone and volume. 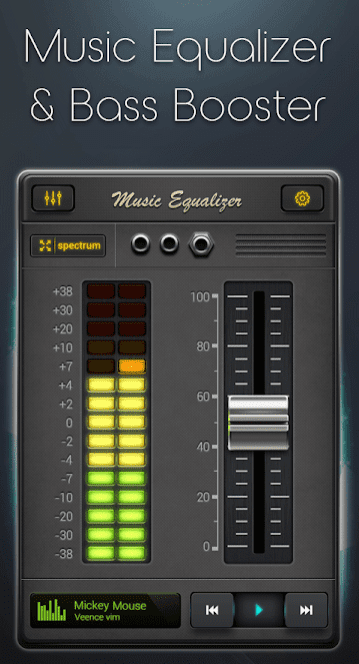 The free Equalizer FX application is one of the few that pleases with its interface. Three intuitive tabs, the lack of multiple switches and buttons makes the application much more enjoyable to use. To adjust the frequency response, a 5-band equalizer is used. Sliders have a smooth stroke, so fine-tuning is possible without problems. The second tab opens access to three effects, among which increase the bass, volume of sound and loudness. The last tab contains a standard set of profiles, but a wonderful blue button allows you to create your own profiles, and in an unlimited number. Another advantage of such an application is that it acts not only on music players but also on all sounds in the system as a whole, i.e. if you don’t have enough volume during the video playback, you can add it with the effect in the program. The settings contain standard options for working with notifications, as well as a couple of “rescue” options that will help when the equalizer doesn’t work. 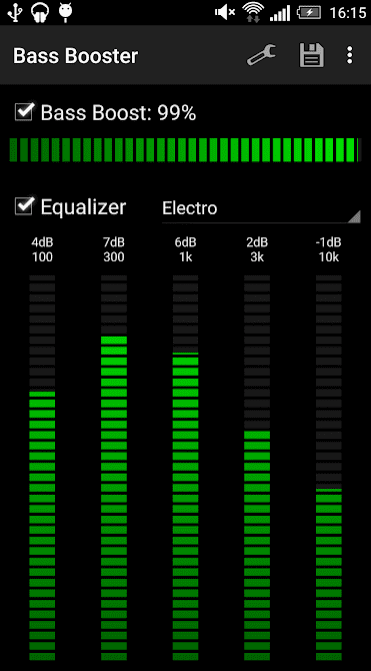 Let’s sum up: Android Equalizer FX, unlike its competitors, looks nicer, providing similar, and in some cases even better, functionality. This stylish and simple application can do much. Now searching for the desired composition on the smartphone doesn’t take much time. 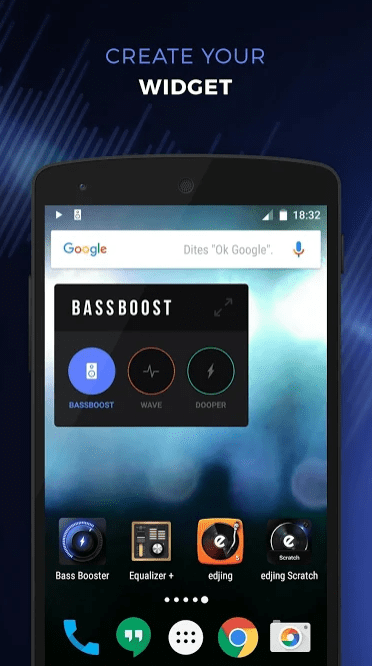 Downloading the Bass Booster & EQ Music Player to Android, you can always quickly find your favorite tracks and make up the necessary playlists with only the best songs and melodies. 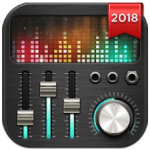 A variety of special effects that you can adjust in the equalizer will add the liveliness and brightness to your favorite songs. You can customize your entire collection of music tracks in several ways for easy searching: by artist name, album names and main musical directions. The whole music library is available in one click, it’s only necessary to open this application and all music will be as in the palm of your hand. There are a player and other equally interesting options and functions that will help to use the application in full force. Connection via Bluetooth will give you an uninterrupted connection to any device and fast download of music files. 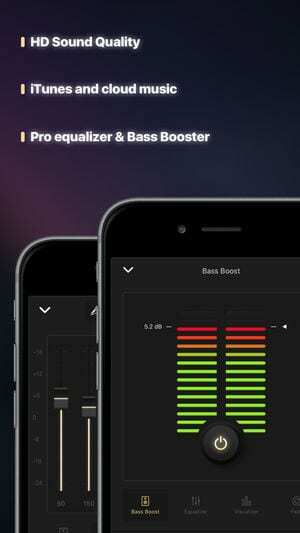 Download Bass Booster & EQ Music Player on Android and enjoy your favorite music always and everywhere only in high-quality sound. Adjust the tones and effects that you hear in your favorite tunes. The application is free and doesn’t require additional payments. Why do you need an additional program to get a nice sound? The fact is that most often for listening to music we use headphones. So, we choose the quality of the speakers when buying this accessory. Everything else depends on the processor of the device and the applications used. So, in our review, there are the most popular equalizers that can improve the sound quality of music when listening to it from a mobile gadget. Choose the best equalizer for you!